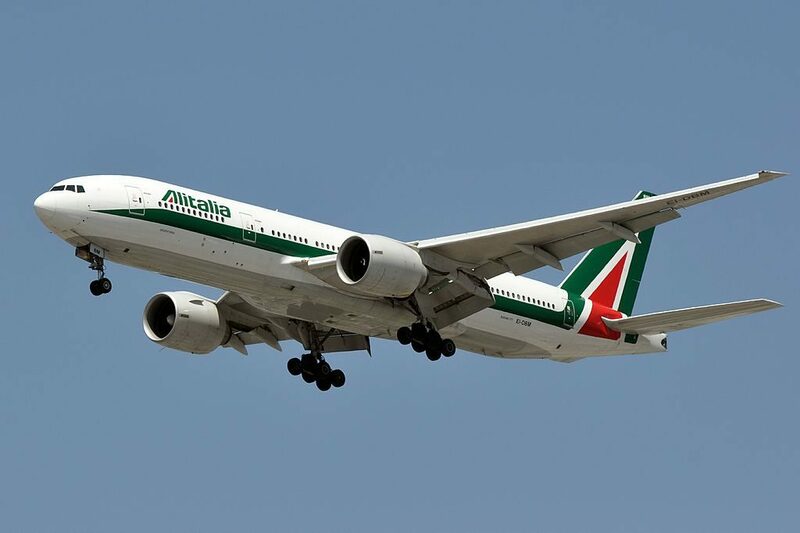 Alitalia Fleet Boeing 777-200ER Details and Pictures. 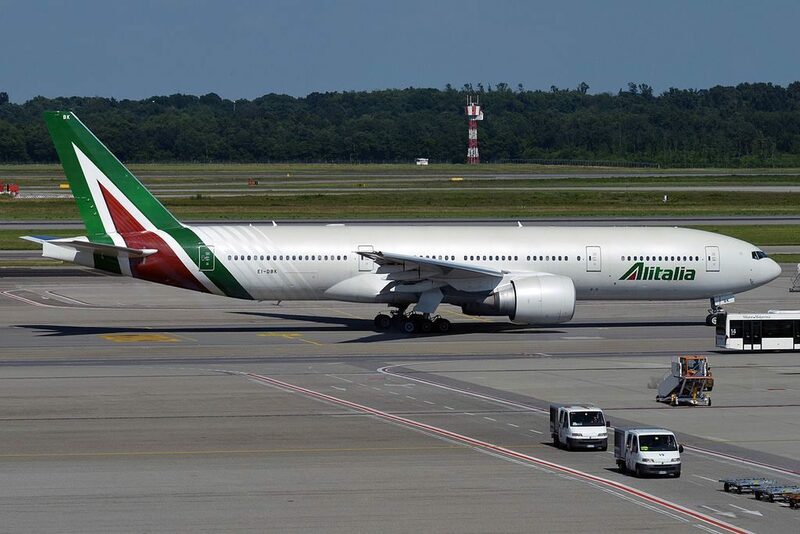 Beside the Airbus A330-200, Alitalia also operated another wide-body aircraft, Boeing 777-200ER. 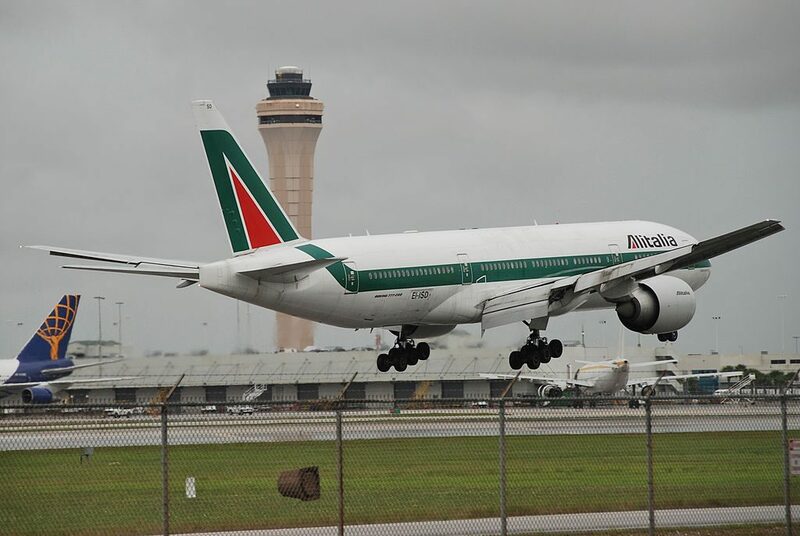 On current fleet, there’s 11 B777-200ER that served Alitalia passengers. 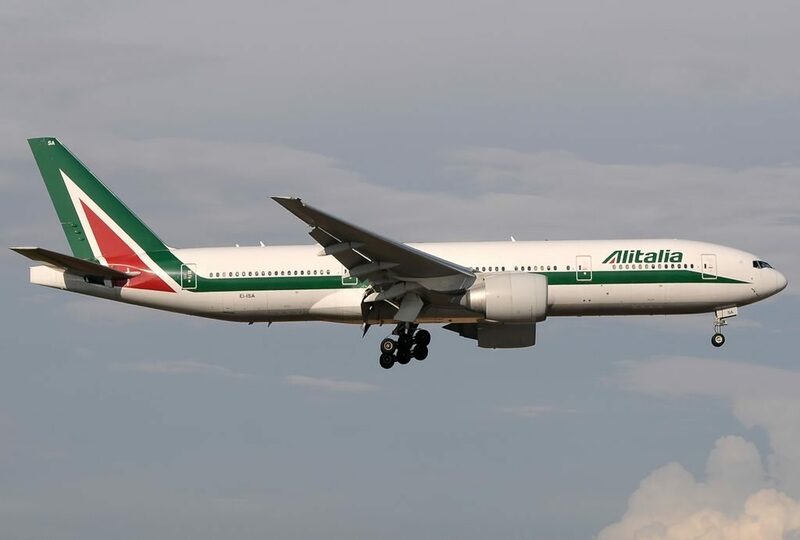 Boeing 777-200 became the first passenger airplane of Boeing company with installed fly-by-wire system (FBW).On this airplane was used aviation electronics of Honeywell company. This electronics corresponds to improved standard on computer bus of data transfer used in aviation electronics ARINC 629.To display all necessary information about the flight and conditions of airplane systems are used six multifunctional TFT displays. 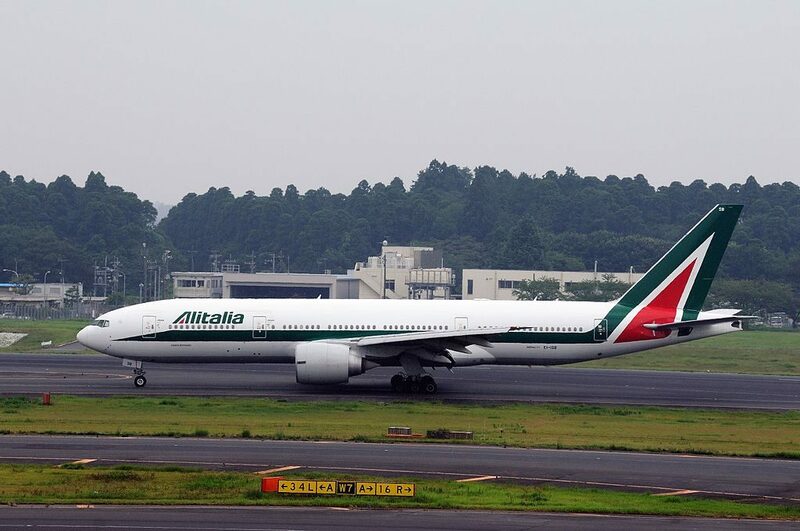 Also on Boeing 777-200 was installed Traffic alert and Collision Avoidance System (TCAS). For today according to ICAO standards, TCAS hardware should be installed on all aircrafts meant for transportation of more than 19 passengers. The Business Class cabin on new 777-200ER aircrafts is configured 1-2-1, offering all-aisle seating. Business Class seats offer in-seat work station capabilities, with PC power plugs and USB ports, and large 15.4” LCD screens to access vast personal entertainment options. The private Premium Economy cabin available on new 777-200ER aircrafts offers a variety of benefits including more legroom and greater seat pitch than regular Economy Class. Premium Economy passengers also enjoy priority check-in and boarding, and may check two bags at no cost as opposed to one for regular Economy Class. On board, Premium Economy seats also offer in-seat entertainment and work station capabilities, with PC power plugs and USB ports, and large 10.4” LCD screens to access the personal entertainment system. The new generation seats in the Economy Class cabin on new 777-200ER aircraft offer comfort and in-seat personal entertainment systems. 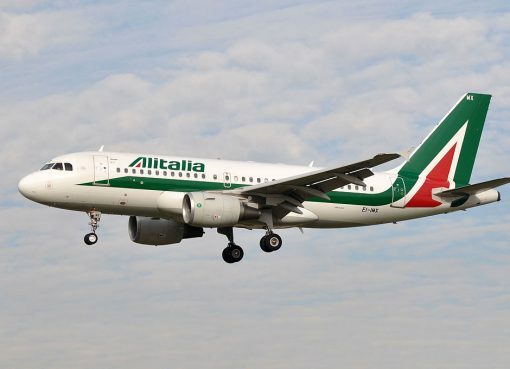 Business class may transport 30 passengers on flat bed seats that are located in two sections. There are 5 rows in the first section and 3 rows in the second one. Most of the seats have 1-2-1 configuration. All A and L seats of the business class are perfect doe passengers who are traveling alone. These seats offer more privacy as they are turned to the window. All E and G seats here on the contrary will be ideal for passengers traveling with a partner. Close location of the lavatory may cause discomfort to passengers of the seat 5L. Behind business class seats the seats of premium economy class are located. There are 3 rows of seats here that have 2-4-2 configuration. All these seats have 120 degree recline and 20% more space for passengers’ legs and higher pitch. Passengers of premium class seats have priority when boarding. The seats 15A and 15L have no windows. Economy class contains 239 seats divided into two sections. The first sections contains 128 seats. Passengers traveling with babies are often seated on the seats 18AB and 18KL. These seats offer extra legroom. Among disadvantages of these seats: lack of floor storage during take-off and landing and reduced width as the tray tables are in the armrests making them immovable. The best seats in the economy class are the seats 19C and 19JKL. Passengers of these seats will take advantage of extra legroom. 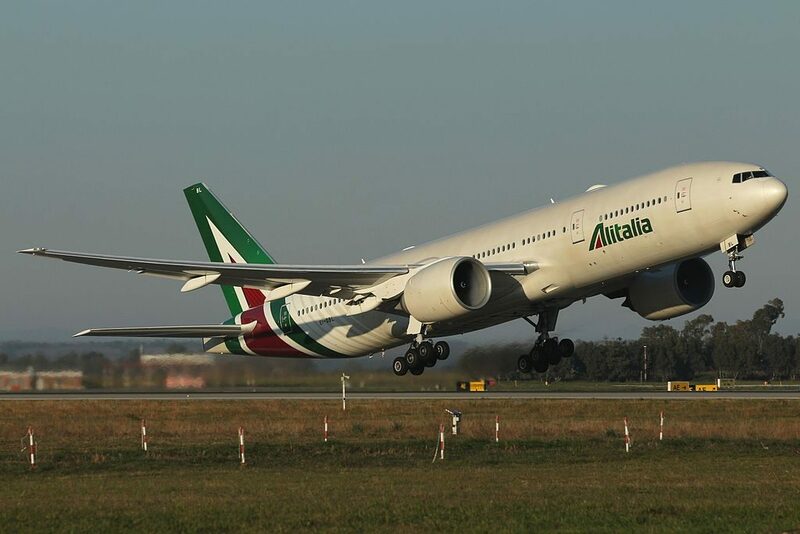 However, these seats are narrower than standard and have no floor storage during take-off and landing. Other passengers tend to congregate in the area of the seats of 29th and 30th row while waiting to use lavatories. Because of entertainment equipment store under the seats 29EG and 30ABC these seats may have less legroom. Passengers of the seats 31ABC and 31JKL will feel comfortable thanks to extra legroom. But proximity of lavatories, lack of floor storage during take-off and landing and reduced width of the seats may be bothersome. The seats 32DEGH have restricted legroom because of the bulkhead position. 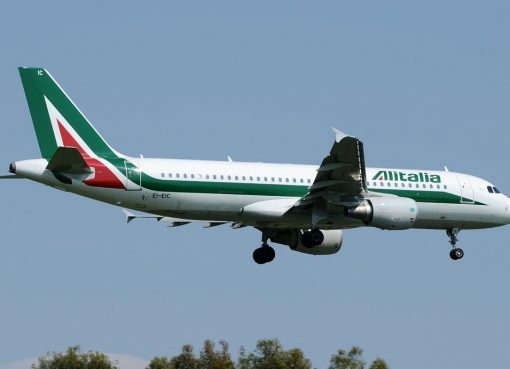 Among other disadvantages: close location of the lavatories, lack of floor storage during take-off and landing and reduced width of the seats as the tray tables are built-in the armrests making them immovable. Due to missing seat behind the seat 39D is often bumped by other passengers passing by and service carts. Proximity of the galleys and lavatories may represent a problem for passengers of the seats of the 43rd and 44th row. In addition the seats 43ABC, 43 JKL and 44EGH may have less space for storage in overhead bins as they are often used for crew luggage and equipment. Audio. 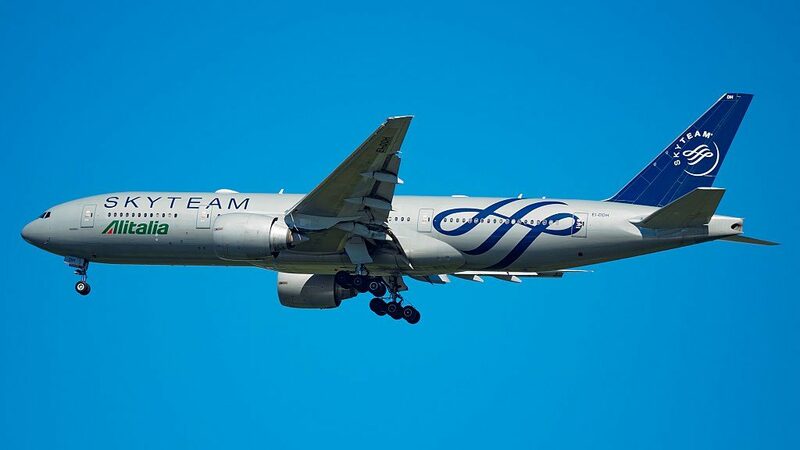 This aircraft features on-demand audio at every seat. Video. Each seat features a personal video screen and on demand video, offering the passenger movies, TV shows and games. Business Class seats offer in-seat work station capabilities, with PC power plugs and USB ports, and large 15.4” LCD screens to access vast personal entertainment options. Premium Economy seats also offer in-seat entertainment and work station capabilities, with PC power plugs and USB ports, and large 10.4” LCD screens to access the personal entertainment system. Economy Class seats also offer in-seat personal entertainment systems. 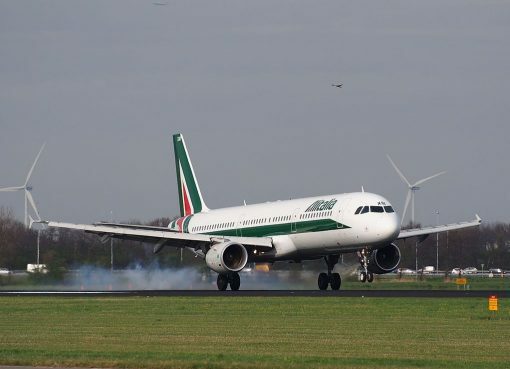 AC Power. EmPower powerports are available at every Business and Premium Economy Class seat. The Economy Class on this aircraft does not have powerports. A reconfiguration in late 2016 through the middle of 2017 will add pc power and USB power ports to all classes. Food. 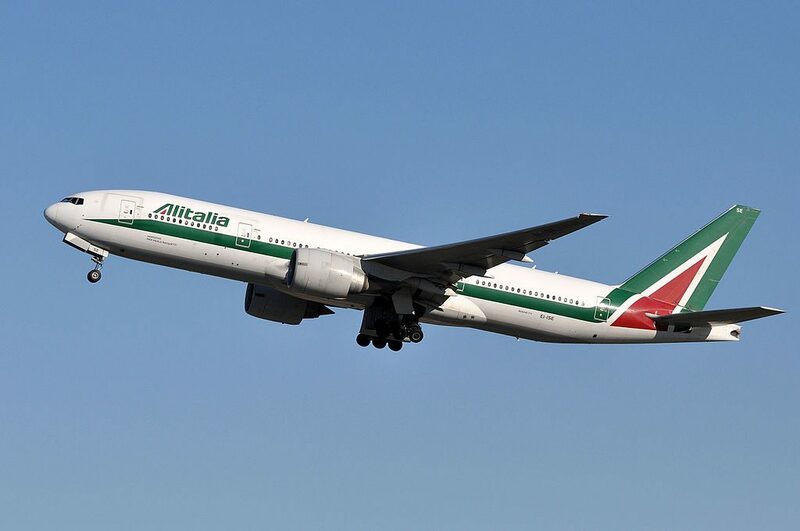 The Business Class service experience includes menus featuring the specialties of Italian regional cuisine, linens designed by Italian luxury brand Frette, tableware designed by Richard Ginori and personal care items created by Bulgari. Passengers will enjoy a plain cooking rich in flavours. The menu recipes combine the quality original products with the best Italian cooking tradition. 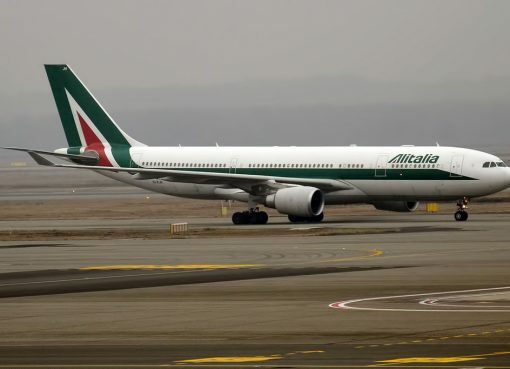 The result is a very varied menu, underlined with a wide selection of Italian wines, selected by Alitalia’s official Sommelier. Economy Class passengers will enjoy complimentary hot meals on long-haul flights, as well as beverages, including wine and beer. 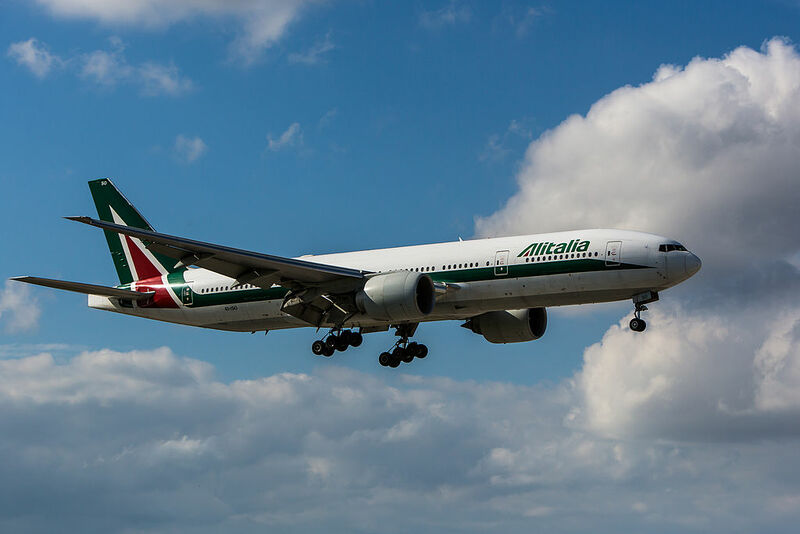 Alitalia has won the award for “Best Airline Cuisine”, as the best airline company in the world for the quality of its in-flight meals. 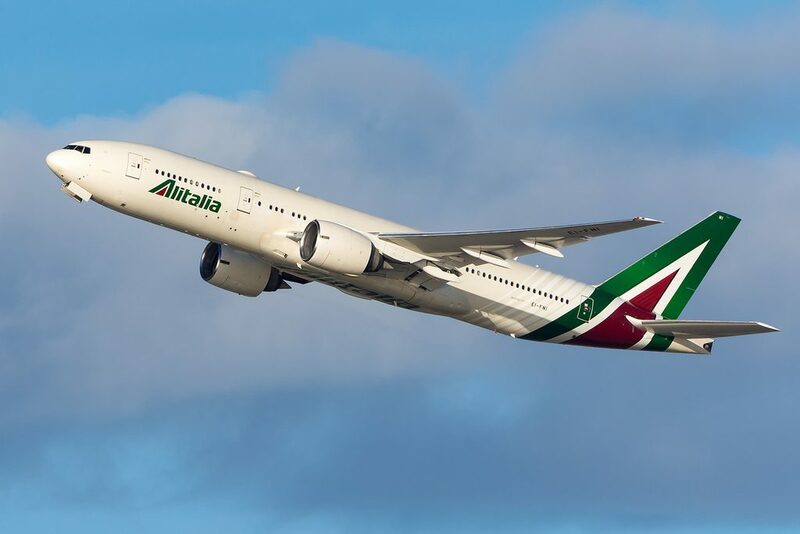 The prestigious award, conferred by the American monthly Global Traveler, rewards the commitment of the Company for the renewal of its in-flight service and catering for the Magnifica Business Class. Baby/child food is available on request during reservation, free of charge. More information about special meals may be seen by clicking here. 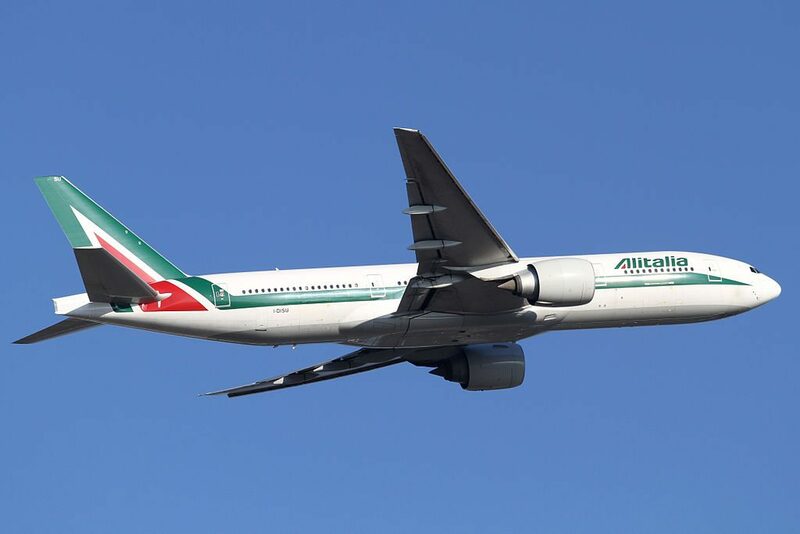 Thanks to visiting AirlinesFleet.com and read article : Alitalia Fleet Boeing 777-200ER Details and Pictures.